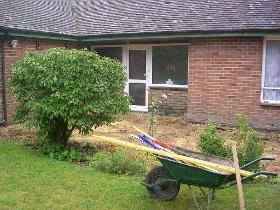 Greenacres Landscaping Services specialises in garden maintenance, patios, hedge trimming and more. A popular gardeners in Southampton, Greenacres has amassed a loyal customer following among homeowners and landlords. Rude angry and bullying nature in the extreme. I wouldn't let them sweep my path let alone anything else. In all honesty I just wouldn't trust him alone in my home or anywhere else.